After being out of town all last weekend and then having a super crazy week at work, I am SO looking forward to taking some time to relax. Who’s with me? I woke up this morning honestly just so excited that it was Friday. I went straight to Bikram which I was even more excited about since I just wrote a big long post about how much I love it, and I really feel like I pushed myself in a lot of the postures. Specifically, I’m getting my back leg straighter in Standing Bow Pulling pose and getting a much higher and stronger kick in regular bow. (#6 and #19 on that chart if you’re interested). 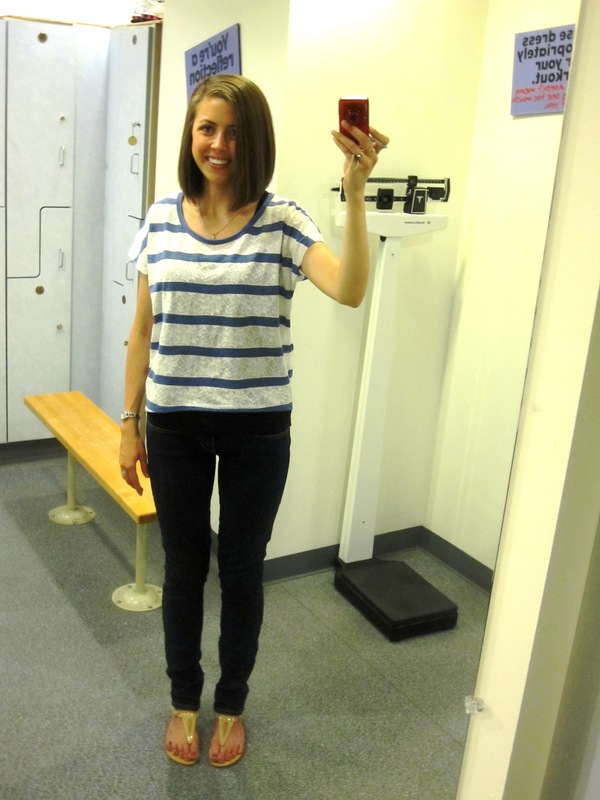 Just jeans and a top today! Nothing too special, although I do really like this shirt. Breakfast was my usual overnight oats that I’ve really started to crave now that it’s warm out. I would have taken a picture, but my boss borrowed my camera to take some pictures of shoes. Here’s an almost identical breakfast from a month ago. I had my leftover Roasted Vegetable Pizza for lunch along with a little bit of salad and an orange. The pizza was still ridiculously good. “FORKS OVER KNIVES examines the profound claim that most, if not all, of the so-called “diseases of affluence” that afflict us can be controlled, or even reversed, by rejecting our present menu of animal-based and processed foods. The major storyline in the film traces the personal journeys of a pair of pioneering yet under-appreciated researchers, Dr. T. Colin Campbell and Dr. Caldwell Esselstyn. I knew a lot about the studies featured in the movie because of reading The China Study (my review here). 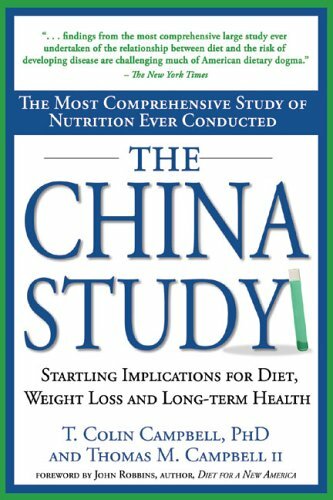 The China Study was Dr. Campbell’s major study of the effects of the western diet diet on human health. It is heavily discussed in the movie because of the thousands of correlations found between a plant based diet and better health. Though I already knew about the results, I was still fascinated by just how much diet and lifestyle can impact health. Removing animal products can actually reverse cancer? People that were given weeks to live are still alive two decades later just by adapting a vegan diet? Modern medication can be completely eliminated and replaced with fruits, grains, and vegetables? I am a huge advocate of a whole food, plant based diet, but seeing actual numbers and study results is still incredible! One of my favorite takeaways from the movie is that many people say asking one to adopt a plant based or vegan diet is too extreme. But the alternative is to cut people’s chests open, remove an artery from their leg, and sew it into the heart for bypass surgery. Many people would consider that to be extreme as well. 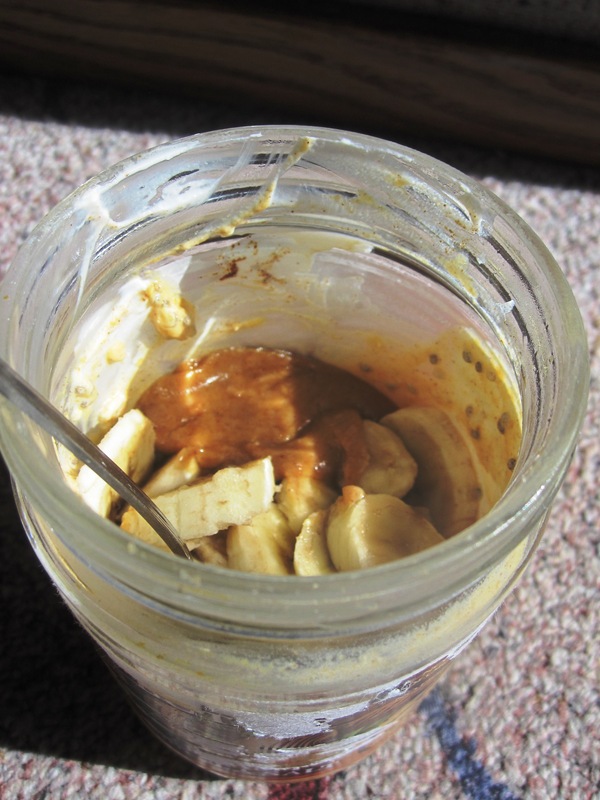 While reading the book I was very gung-ho about a vegan diet, but in the past couple of months I’ve reintroduced yogurt, eggs, and some fish into my diet. I still fully believe in what the book and movie say, but I also noticed I feel a little better with these foods in my diet. I hope to continue to experiment to find my happy healthy place with food and diet. What’s your take on the use of a plant based diet to prevent, stop, and even cure diseases like cancer? After the movie, I came home hungry for dinner. 90 degrees at 7pm is just begging for a smoothie, so I whipped up a Very Berry Green Monster and had it along side two pieces of toast. One slice had a big fat slice of tomato and the other had a sample pack of Artisana Raw Walnut Butter which was really really good, but not quite as strong in flavor as an almond or peanut butter. Now I’m snacking on tortilla chips while organizing my Integrative Nutrition life. There are so many wonderful handouts and resources they provide students, but I really need to keep track of them all! Oh and the Cardinals v. Cubs game is on mute in the background…gotta follow the huge rivalry, but don’t want to get too distracted. Chocolate is in my future. I hope you’re all having a wonderful night as well! I keep seeing this movie pop up all over the blog world, maybe it’s time I saw it myself! I’m all for trying vegan recipes, but I just don’t think a vegan diet is sustainable for me. That’s just a personal opinion though. To each his/her own! That’s so courages to take the photo in the bathroom while other people were there, way to go that’s awesome! I love tomato on my toast, especially with cottage cheese…which means yes I like my animal biproducts. 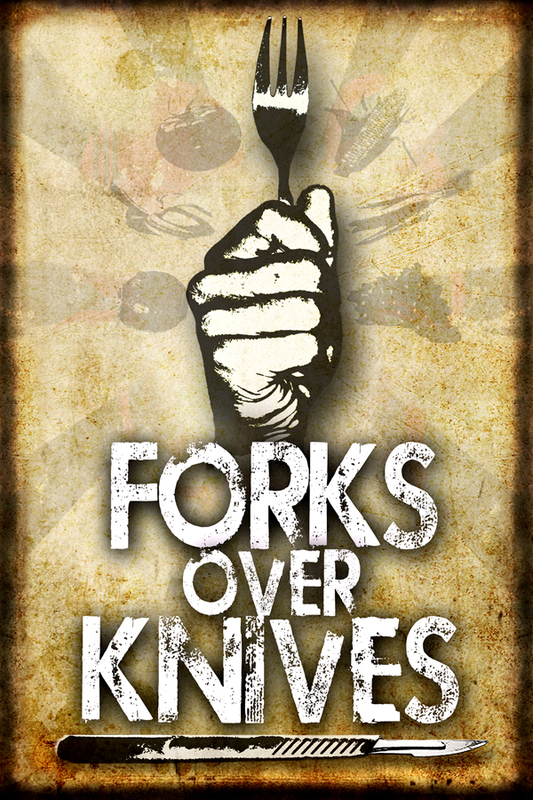 I really want to see Forks over Knives though! I like the casual chic look! And stripes seem to be everywhere this summer. I loved the information in the China Study, so I’d definitely want to watch Forks Over Knives. But I agree with you, I don’t think my body would feel as energetic on a vegan diet as it does on a minimal dairy diet. I love eggs too much to give it up! I too am a veg but I do eat greek yogurt almost everyday, maybe 2-3 eggs per week, and about one serving of cheese. 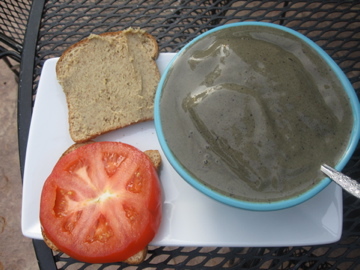 I just love greek yogurt and I don’t want to eat too much protein powder, tofu, temph and I also try to stay away from fake meats….so I feel like I can’t/don’t want to give up my yogurt and eggs! I believe every thing we do adds up and it doesn’t have to be all or nothing. Vegan is awesome for some, but for me and this time in my life I happy with being a vegetarian. Have a great, relaxing weekend! Oh and I can’t give up frozen yogurt/ice cream…that would be tragic! I really love your outfits, you are so stylish! 🙂 I so want to see that movie. I have read the book (China study) and was quite impressed by a lot of things writen in it. I heard a lot of good thing about the movie, so thanks for your review too! I think that plant diet HAS the potential to prevent many diseases, hopefully even cure them, but it must be done right and in a long term course. No magic happening over night. My BF’s mom is actually a Food for Life instructor, so she works with an organization called the Cancer Project to give plant-based cooking classes targeted towards cancer survivors and those genetically predisposed to it. I definitely think there’s a LOT of truth to it, but I also think that life is too short not to enjoy some of the things you love. We all die at some point, right? That’s why I’m mostly vegan at home, but not too strict with myself when it comes to fish and dairy. I think I’ve found a balance that works for me!! I tried bikram the other day for the first time and was SO SWEATY it was unbelievable. More so than any run I think I’ve ever been on! Also I can’t wait to see Forks Over Knives after reading The China Study! That’s a really cute outfit.